Changing the Paradigm. A 21st Century Giant Step Forward in Inclusion and Diversity. Youth, Next Generation Leaders play an important role. In a statement on his personal Facebook account, Mr Abdul Mahdi invited "those with expertise, specialisation and practical experience" to come forward. 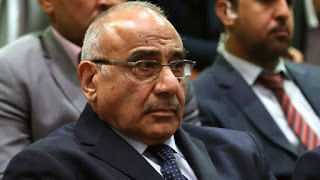 Iraq's Prime Minister-designate Adel Abdul Mahdi has launched a website to allow Iraqis to apply for ministerial positions in his new cabinet. They have until Thursday to submit a CV and evidence they meet his conditions. Mr Abdul Mahdi was asked to form a new government last week, ending months of deadlock after inconclusive elections. 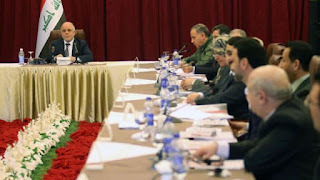 The independent Shia Islamist politician - who has a PhD in economics and has served as vice-president, oil minister and finance minister - was nominated by the two Shia-led blocs that won the most seats in parliament in May. Mr Abdul Mahdi has until 1 November to form a government. In the Facebook post, the prime minister-designate said he had decided to open up the ministerial recruitment process following a "number of requests for direct personal meetings either to offer congratulations, present programmes and ideas or to apply for ministerial posts". The website Iraqcabinet2018.com says men and women who "meet all the conditions stipulated in the constitution and enforced laws" have until 16:00 (13:00 GMT) on Thursday to submit applications. Hopefuls must provide their personal details, state whether they belong to any political party, and then say which ministry they would like to lead. They are also required to describe the most important projects they have overseen, outline their thoughts on what makes a successful leader, and then detail the practical solutions they would propose to tackle the problems their chosen ministry is facing. Previous Iraqi governments have been plagued by corruption, mismanagement, politicisation and sectarianism. Outgoing Prime Minister Haider al-Abadi sought to replace ministers who were political appointees with unaffiliated technocrats, but faced stiff resistance from parties in his ruling coalition. Parliament's failure to approve a non-political cabinet helped trigger protests in 2016 and prompted Mr Abdul Mahdi to step down as oil minister, a decision he said was aimed at "confronting an atmosphere of anxiety of chaos".